IDrive Exchange Server restore supports the restore of Microsoft Exchange Server 2010, 2013 and 2016 to the Original server database or to a Recovery database. 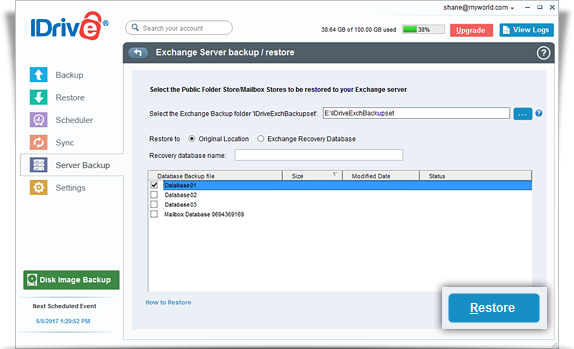 The Recovery database allows you to mount a copy of the regular mailbox database backup for performing a restore of mailbox or mailbox items. Restoring the mailbox to a Recovery database will not have an impact on the active copy of the mailbox database that is already running. Once the databases have been dismounted, login to the IDrive application and click the 'Restore' tab. 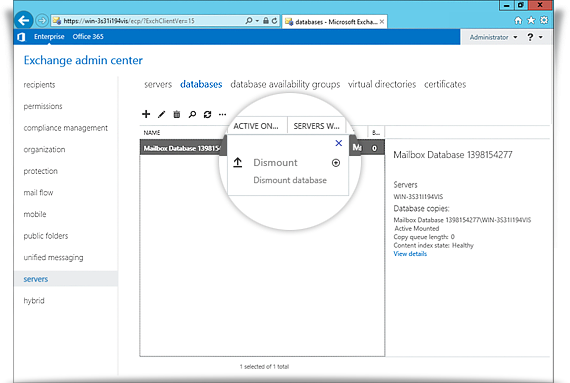 Under MS Exchange Server section, click 'Restore'. 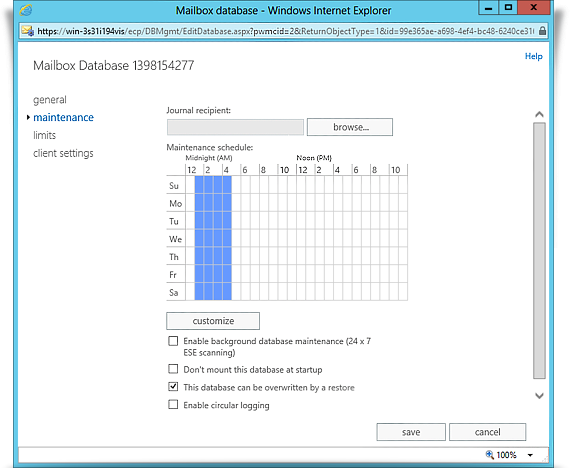 Example: New-MailboxDatabase -Recovery -Name RDB2 -Server MBX1 -EdbFilePath "C:\Recovery\RDB2\RDB2.EDB" -LogFolderPath "C:\Recovery\RDB2"
Once the databases are dismounted, login to the IDrive application and click the 'Restore' tab. Browse and select the 'IDriveExchBackupset' folder in your IDrive account. Under MS Exchange Server section, click 'Restore'. 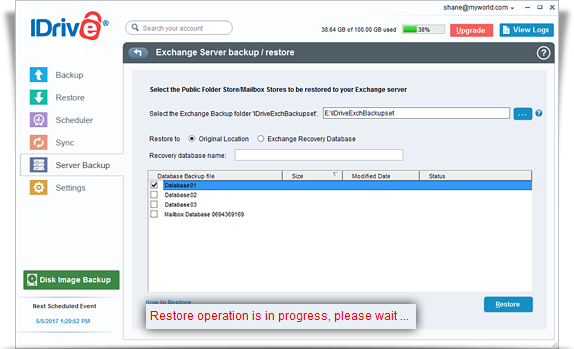 The 'Exchange Server backup/restore' screen appears. Browse and select the 'IDriveExchBackupset' folder (restored earlier from your IDrive account). 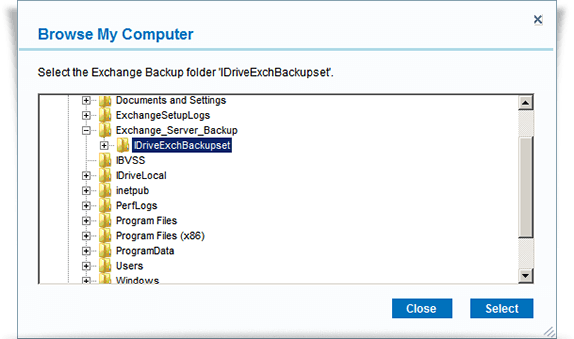 View the steps to backup MS Exchange Server.